2018 marks 115 years since the inception of the New York Yankees--and what a 115-year period it's been! But how did the team that has since won a league-leading 27 world championships get started? 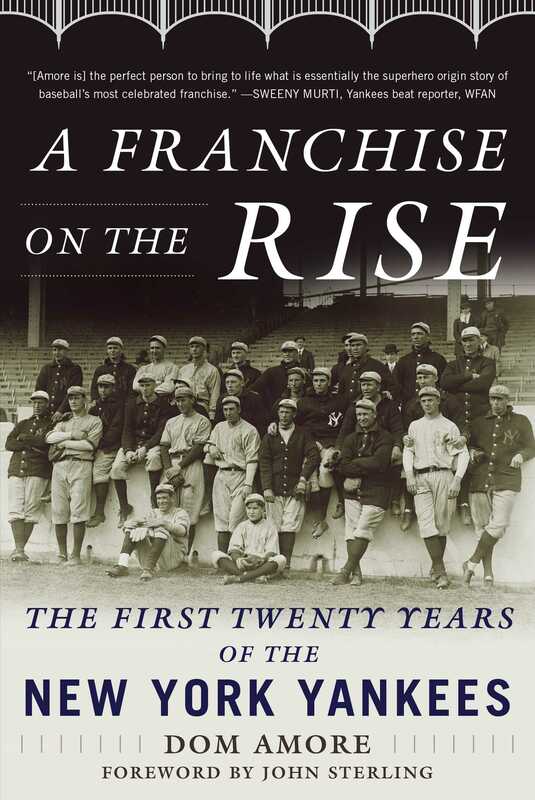 In A Franchise on the Rise, veteran sportswriter Dom Amore takes readers back in time to the first twenty years of the team's existence, from 1903 to 1923, focusing on all the major players and events, including their first ten years as the Highlanders, their move to Yankee Stadium, and their subsequent first World Series in 1923. In doing so, Amore successfully finds the characters' own voices and thereby vividly reconstructs events of more than a century ago. He recounts the snowy night Honus Wagner was offered twenty crisp $1,000 bills to join the new franchise in New York; the story behind the holes punched in the outfield fence that facilitated the stealing of signs in 1909; and why the team thought it may have had the next big superstar in a college football end named George Halas. This is a tale about the business of baseball as it was done at the time and, in many ways, as it still must be done. There was no secret to building a winning organization. It took money and luck, but it also took a group of people working as a team, each allowed to do his job and each doing it superbly. Dom Amore, a twenty-year member of the Baseball Writers Association of America, has been writing about sports for Connecticut newspapers since 1982, for the Hartford Courant since 1988, covering the Yankees, MLB, and baseball at all levels for much of that time. He has been named the state’s Sportswriter of the Year four times by the National Sports Media Association and has won more than thirty state, local, and national journalism awards. Dom is single, and lives in Branford, Connecticut.